Select a style A : Rhodochrosite B: Fox Turquoise C: Fox Turquoise D: Turquoise Mount. 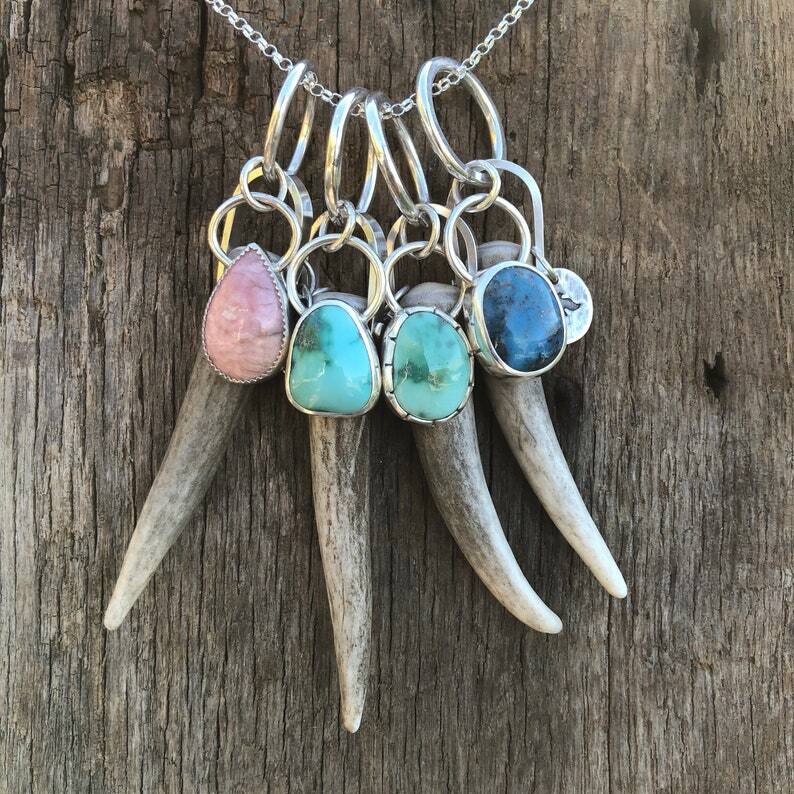 These shed antler pendants feature beautiful Fox Mine Turquoise, Turquoise Mountain & Rhodochrosite. Pendants measure approximately 3 1/2" long and come on a 24" Sterling Silver Oxtail chain with lobster claw clasp. These shed antler tines were found in Southern Utah. "Sheds" are naturally dropped antlers. Every spring, deer & elk, shed their antlers and start anew.